Westfield is a beautiful town in Union County and is home to nearly 30,000 people. The vibrant downtown area, home to over 200 local and national stores and restaurants, was once called the old village area and was settled in 1720. 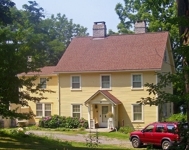 Westfield is named because of its location in the western parts of the Elizabethtown tract. Public high school students in Westfield attend Westfield High School. Commuters in Westfield enjoy New Jersey Transit's rail service from the Westfield Train station on the Raritan Valley Line to Newark Penn Station and then connecting to New York Penn Station. A 50 minute one-seat ride is available from WEstfield to NY Penn Station during weekday off-peak hours. New Jersey Transit bus route 113 takes one hour to New York city's Port Authority from Westfield. Home buyers and home owners in Westfield need to understand the local real estate market in order to make informed decisions. This is what you need to know for October, 2016. 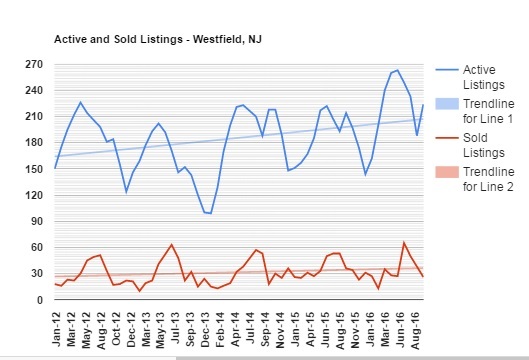 Inventory: There are currently 224 homes offered for sale in Westfield, representing an increase in inventory that is typical in Westfield in the autumn. Twenty six homes were sold in September which is very low for September (September 2015 had 36 homes for comparison). Prices: The average sold home in Westfield in September was sold for $750,891, slightly lower than the 12 month average of $805,547. Prices in Westfield continue their upward climb as demonstrated by the light blue trend line in the graph below. Days on Market: A good indicator of the appeal of a town's real estate to buyers is the Days on market. Westfield continues to be in high demand by buyers as is demonstrated by homes that sell, on average, after 57 days on the market in September. Condition. Is your home updated? Is it clean and uncluttered? Is it convenient for agents to show? Pricing. Is your home priced competitively? Are you attracting buyers in the price range that your home is actually valued? Marketing. 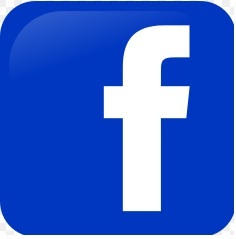 Does your listing agent have an aggressive marketing campaign that includes print and digital marketing? A fourth factor, over which you do not necessarily have control, is location. 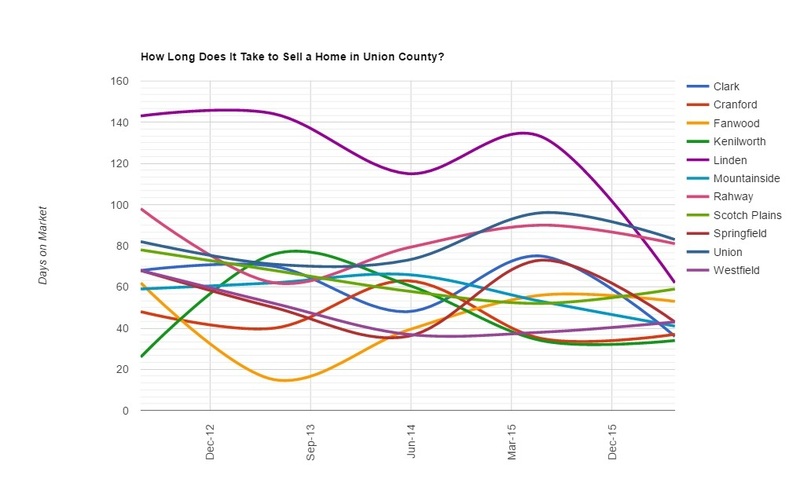 Within Union County, the length of time it takes to sell a home can vary from town to town. Here is a comparison of the Days on Market for homes that sold in each town of Union County in June of 2016. 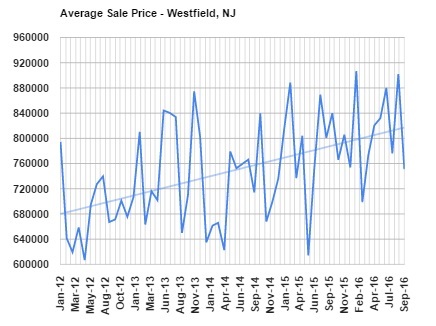 While the aveage Union County home sold after 52 days, it's plain to see that homes in Westfield, Springfield, Mountainside, Kenilworth, Clark and Cranford sold much faster than average. Homes in Fanwood and Scotch Plains are slightly slower than average and homes in Linden, Rahway, and Union are much slower than average. This has typically been the case for the past several years. This graph shows the Days on Market for each of the Union County towns since 2012. The good news is that all towns are showing an improvement in how long it takes to sell a home. Linden, in purple on this graph, was by far the slowest selling town in Union County 4 years ago but has dramatically improved from nearly 5 months to just over 2 months. Other towns have shown less improvement. For example, Kenilworth homes, shown in dark green on the graph, and Fanwood, shown in orange, are selling after about the same length of time now as they were 4 years ago. If you want to sell your home quickly, you need to focus your energy on competing with the other houses in your town. > First, be sure that your house shows well. If you need to clean it, remove clutter, or improve curb appeal, do it now! > Second, confirm with your Realtor that the house is priced competitively. 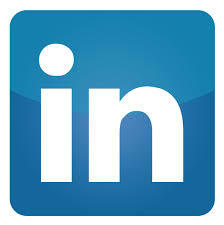 Ask your Realtor to do a Comparative Market Analysis, especially if your house has been on the market for a long time. > Third, Evaluate the marketing system that your Realtor has been using. When you do a web search of homes for sale in your town, does your house appear? 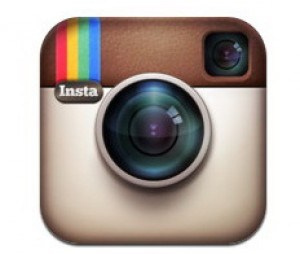 Has your Realtor held any open houses? If you're ready to sell your home and want to get it sold as quickly as possible, call Team Zuhl. We'll handle the rest!